Eamon McConigley is excited about the prospect of another FAI Intermediate Cup run. The Letterkenny Rovers manager takes his team to Dublin to take on Pegasus/St James Athletic on Sunday for their latest voyage. Rovers were beaten finalists in 2016 and reached a semi-final last year, losing in a replay to Killester. “We have done quite well in the last three years,” McConigley said. Rovers have won their opening six Four Lanterns Ulster Senior League games and currently have a nine-point lead at the summit. They beat Cockhill 5-0 in the last round. However, McConigley insisted: “We said in a meeting this year that we wouldn’t look past the next game. Rovers will be without former Wexford Youths and Finn Harps man Jonny Bonner, who is on holiday, but should be at full strength otherwise. A win on Sunday not only means progression in the Intermediate Cup, but would mean entry into the first round of the FAI Senior Cup. McConigley said: “We’re trying to go as far as we can. “It’s something to look forward to and aim to progress. “I always find when you get out of the county it’s a level playing field. The players want to play someone different. It’s a different ball game and it’s a good distraction from playing the same teams week in, week out. At Dry Arch Park on Sunday at 1pm, Bonagee United face Munster Senior League champions Midleton - whom Rovers have beaten in recent years. 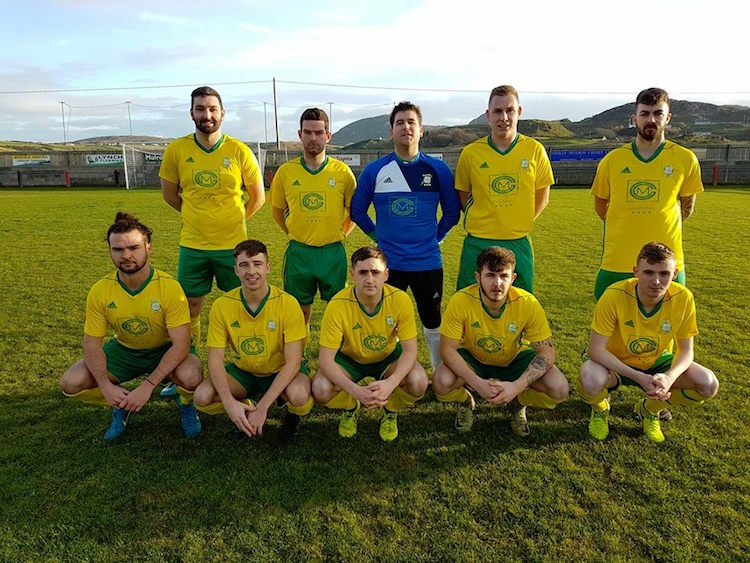 Bonagee are hoping that Darren McFadden recovers from an injury sustained in Sunday’s 1-0 loss to Letterkenny. Manager Jason Gibson hinted that he could recruit some new blood to add to his ranks when the transfer window opens next month and added: “We have to remember where we came from.